Lavender (4 drops) – Lavender is an incredible natural antihistamine and helps reduce inflammation in the sinuses. Peppermint (2 drops) – The minty freshness of peppermint opens up the airways, helping you breathe and easing congestion. Lemon (2 drops) – Lemon is another natural antihistamine that helps reduce inflammatory response and mucus. If you have a sinus headache, add 3 drops of Copaiba – it’s a super strong anti-inflammatory that helps with pain relief. 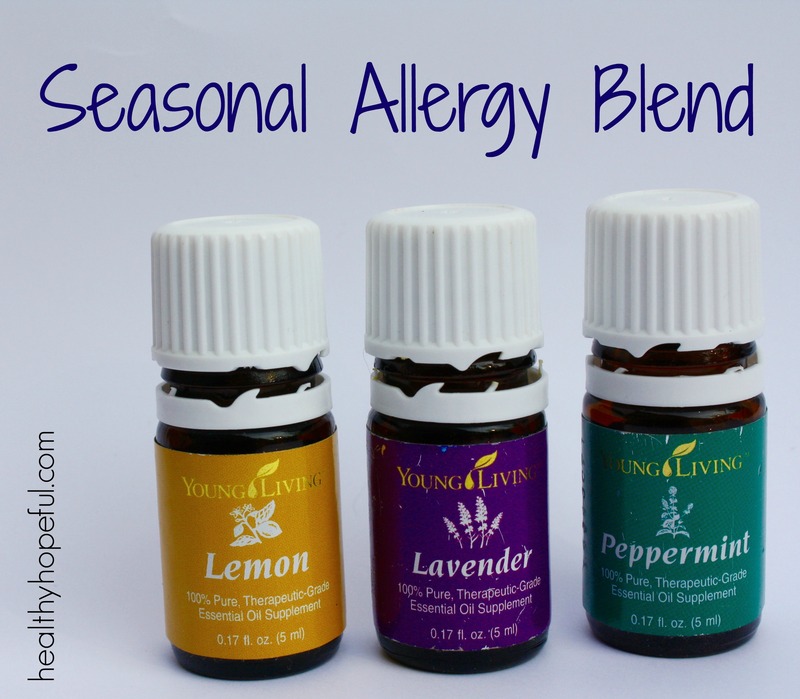 *I used this same blend mixed with coconut oil to calm my skin and relieve itching when I had an allergic reaction that caused a rash. Purification (3 drops) – This stuff is magical – it disinfects the air and neutralizes bad odors, including those from mildew and smoke. It’s a blend of citronella, lemongrass, rosemary, tea tree, lavandin, and myrtle. Lemon (4 drops) – Lemon helps to cleanse and disinfect the air while adding an invigorating, clean aroma. This blend is also fantastic for getting rid of that mustiness in your washing machine or added to carpet spray used on pet accidents. Lemon (2 drops) – Lemon helps to reduce excess mucus and to open up lymph pathways for proper drainage. 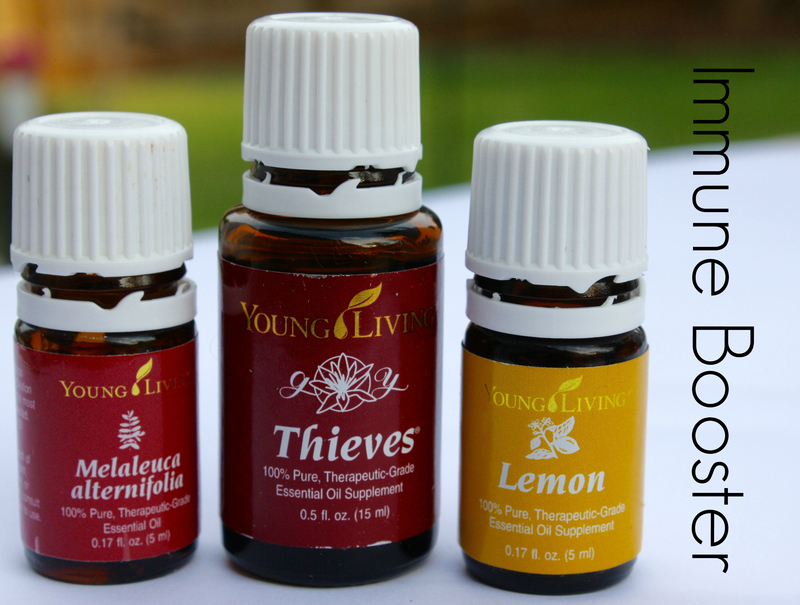 Thieves (4 drops ) – With powerful ingredients like clove, cinnamon, lemon, eucalyptus and rosemary, this oil has proven through research and history to boost the immune system and disinfect the air of germs. Lemon (2 drops) – Lemon helps to cleanse the body of toxins and opens up your lymphatic system. Tea Tree (2 drops) – Promotes cleansing and purity, helping fight infection. Lime (2 drop) – Stimulates a tired mind and renews your spirit. Lavender (2 drops) – Calming & relaxing. 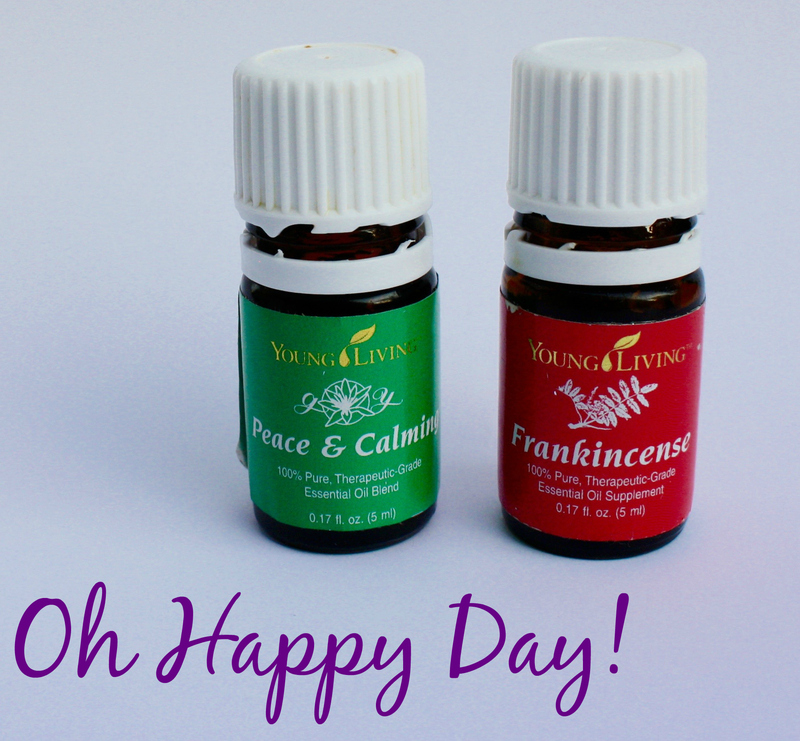 Stress Away (4 drops) – My favorite blend… it truly does help take the stress of the day away. It contains Copaiba (to help soothe), Lime, Cedarwood, Vanilla (because who doesn’t love that wonderful fragrance!? ), Ocotea (creates peaceful environment) and Lavender. Happy & Bright – My very favorite everyday combo! 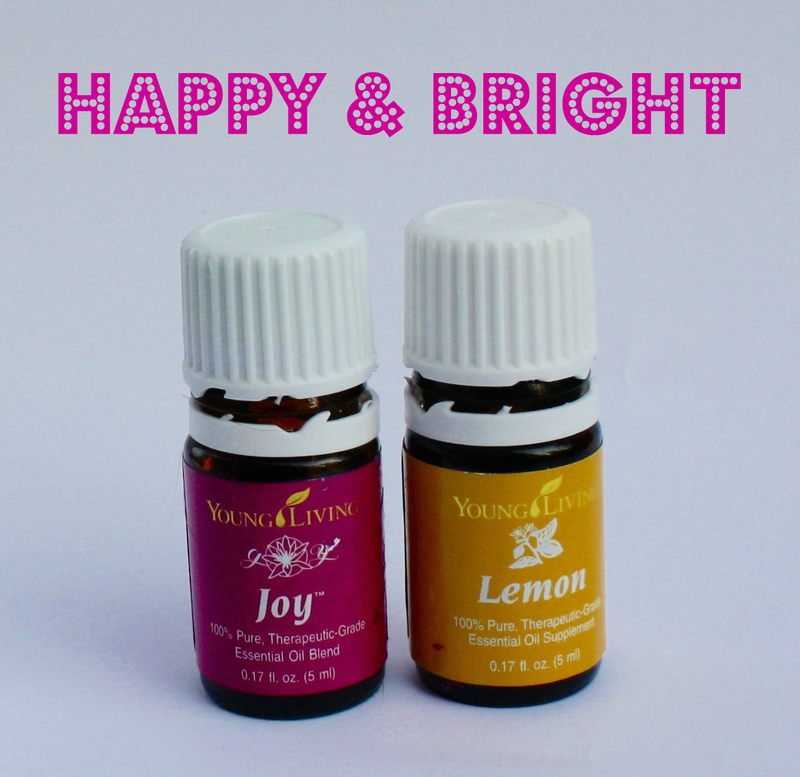 Joy (4 drops) – A delightful blend of beautiful oils that brings positive energy to the household. It promotes romance and harmony. It’s a mix of bergamot (relieves stress and tension), ylang ylang (to balance crazy hormones), geranium, lemon, coriander, tangerine (calming), jasmine (promotes feelings of love and support), roman chamomile, palmarosa, and rose (creates a romantic, magnetic energy). Lemon (4 drops) – Purifies and provides a bright, uplifting fragrance. Lavender (4 drops) – Lavender is calming to the body, both mentally and physically. A University of Miami study found that inhalation of lavender increase beta waves in the brain, leading to heightened relaxation; and an Osaka Kyoiku University study found that it reduced mental stress. Since lavender is one of the most commonly adulterated oils (chemical fragrances are added), you have to be careful where you buy it. I once bought a bottle from the grocery store when I ran out and, while it (mostly) smelled the same, it had zero effect on inducing relaxation like my Young Living bottle did! 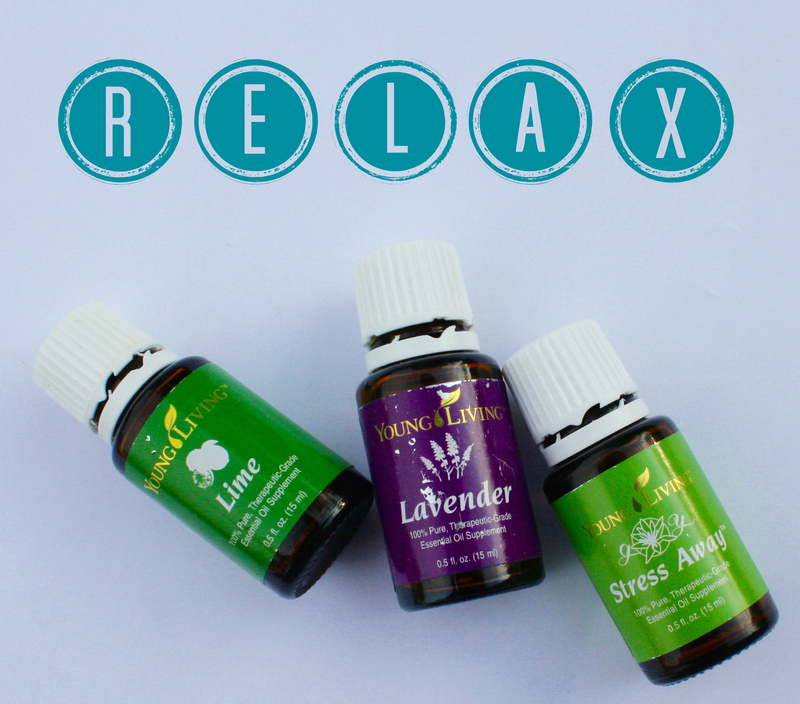 Stress Away (3 drops) – The perfect blend to help you wind down for the day. It contains Copaiba, Lime, Cedarwood (to release melatonin), Vanilla, Ocotea and Lavender. 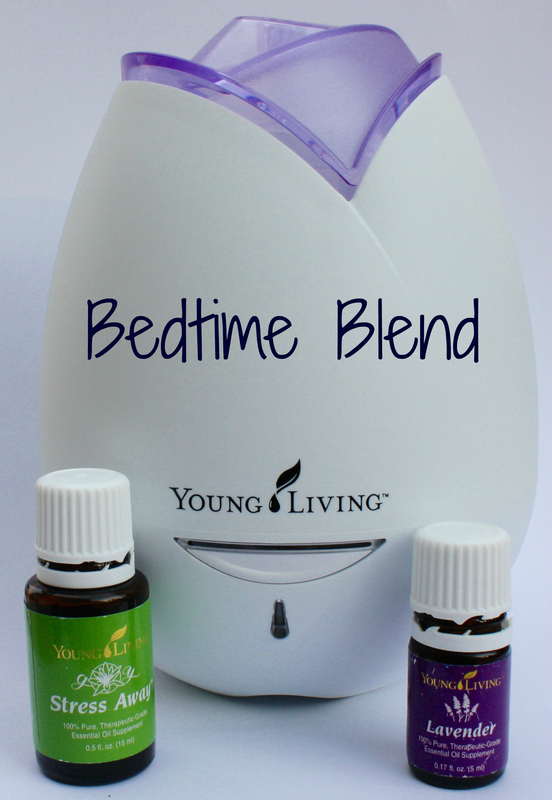 Variation: If you have them, add a couple drops of each of the following to the Lavender instead of Stress Away: Cedarwood – stimulates the pineal gland to release melatonin, and Ylang Ylang – Restores peace and balances hormones (can help reduce cortisol spikes that inhibit sleepiness). Peace & Calming (4-5 drops) – I think the name says it all… this blend truly does bring emotional peace. It’s a blend of tangerine (combats nervousness), orange (sedating and calming), ylang ylang, patchouli (clarifies thoughts and promotes grounding), and blue tansy. Frankincense (2 drops) – Increases spiritual awareness and improves attitude. This oil was used throughout the Bible to enhance connection to God through worship and prayer. What are your favorite blends to add to the diffuser? Let me know how you like these! 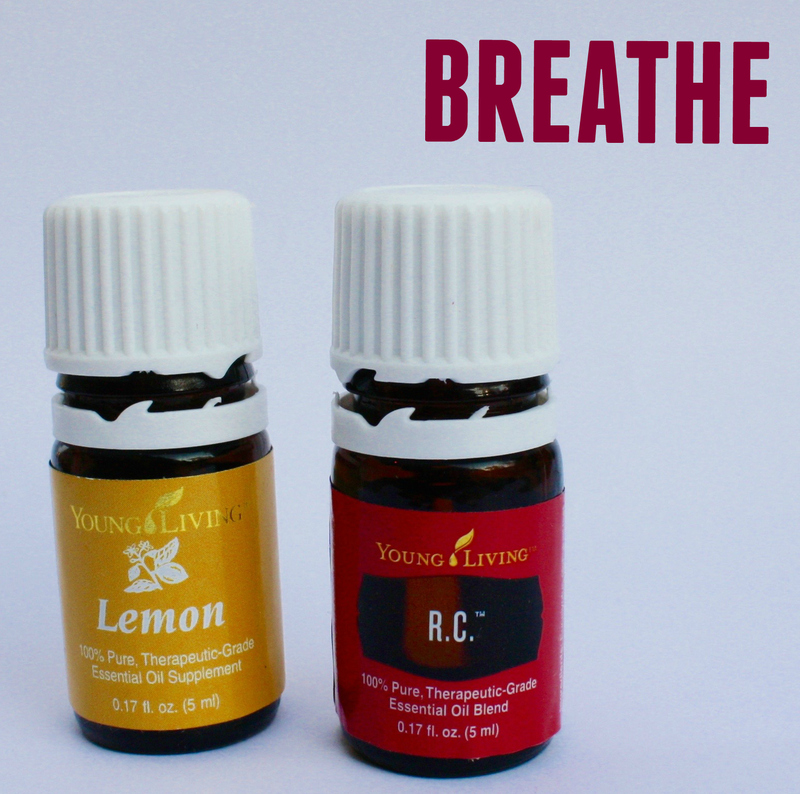 For more information on essential oils and why I chose the Young Living brand, visit this page. P.S. It’s important to be careful how you diffuse essential oils into the air because when you heat them, it destroys the healing compounds. I use a cool air diffuser that uses ultrasonic technology to mix the oil with water and disperse into the air. This atomizer activates the healing effects of the oils and allows the aromas to stay in the air for longer. Plus, it’s also a humidifier so is great to put by your bed when you’re sick. 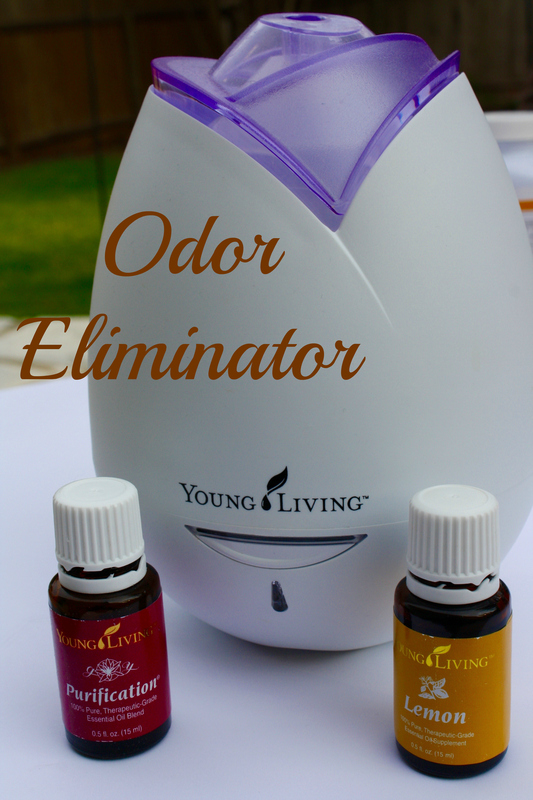 When you order a starter kit from Young Living, it comes with an amazing diffuser – read here for how to get started.